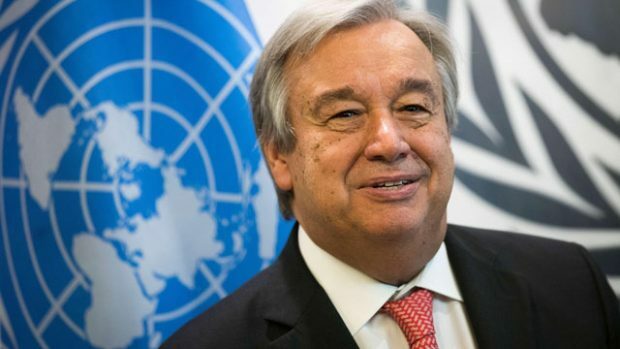 The UN Secretary-General, António Guterres, has strongly condemned the military escalation and ongoing fighting in and around Tripoli, including the aerial attack today by Haftar’s forces aircraft on Mitiga airport. “The Secretary-General urges the immediate halt of all military operations in order to de-escalate the situation and prevent an all-out conflict. He emphasizes that there is no military solution to the Libya conflict and calls on all parties to engage in immediate dialogue to reach a political solution.” A statement published on the UNSMIL website said, adding that the Secretary-General’s Special Representative in Libya Ghassan Salame stands ready to facilitate that dialogue. Guterres further reminded all parties of their obligations under international humanitarian law and international human rights law to ensure the safety of all civilians. “All Libyans deserve peace, security, prosperity and respect for human rights.” He added.